After selling more than 25 millions of JioPhone in less then a year Reliance JIO is going to lunch its upgraded version shortly. The release date is declared as 15th Aug 2018. 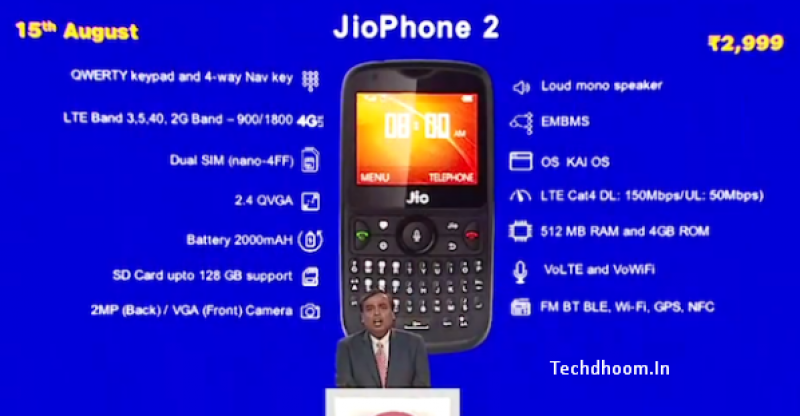 The Jiophone 2 is upgraded with many new features from the old one. The phone have got a dual SIM support facility with VoLTE and LTE support which will make more attraction to the users. It supports LTE Cat.4 which can give you a speed of 150 Mbps now. It also support high speed wifi. It comes with a qwerty keypad along with 2.4 Inch QVGA display. It also have the same operating system of KAIOS but the RAM size and the internal memory size has been increased. 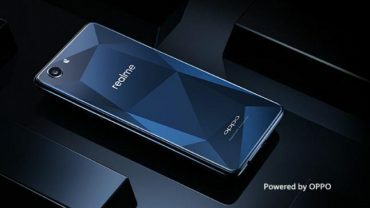 The phone have a 512 MB random access memory (RAM) and 4 GB of internal memory. Its dual sim slot will support other operator sim card too. You can also use 2G sim with the secondary sim slot. It supports a 128 GB external storage with MicroSD card. It have a 2 MP camera in back side and a VGA camera in front side. And now users can use whatsapp on the new Jiophone 2 which is a good thing reliance does for the user. Talking about the price of the Jiophone 2, the jiophone 2 has a price tag of Rs.2999. But as a Mansoon Offer jio has declared that if a user exchanging his any feature phone and taking the JioPhone 2 then he/she have to Pay only rs.501. How to configure SSH version 2?